In today’s rumor rundown Elliotte Friedman provided some quick hits on a variety of rumors around the NHL. The Oilers are starting to worry about their blue line being decimated with injuries and the Flyers are still looking for a goalie, thinking about the long-term future of their young prospect, Carter Hart. 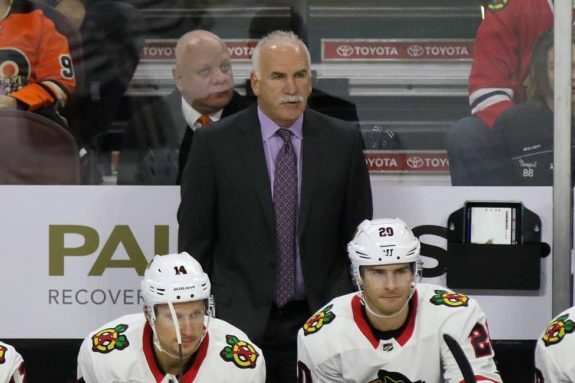 If Quenneville is wanting to coach a team that contends right away his best option would be to let the next six months play out, take his time and look at all the options that present themselves after the season comes to a close and organizations decide who they’re keeping and who they aren’t. The fact that Ron Hextall was released by the Flyers was a shock for some, but it doesn’t appear like he’ll be out of work for long if he doesn’t want to be. Friedman is reporting that there have been a few teams that have contacted the Philadelphia Flyers about Ron Hextall. Friedman suggests the Carolina Hurricanes are debating on making a play for St. Louis Blues forward Vladimir Tarasenko. Friedman is wondering if the Blues might be looking to Martin Necas as part of the deal in return? He also asks if there is a possibly a deal that could exist where the Vegas Golden Knights would be interested in Blues forward Brayden Schenn? Friedman suggests the Washington Capitals are willing to move Andre Burakovsky, but not for futures or draft picks in return. The only way they might do so is if they could then flip those futures for immediate help that would allow them an opportunity to repeat as Stanley Cup Champions this season. 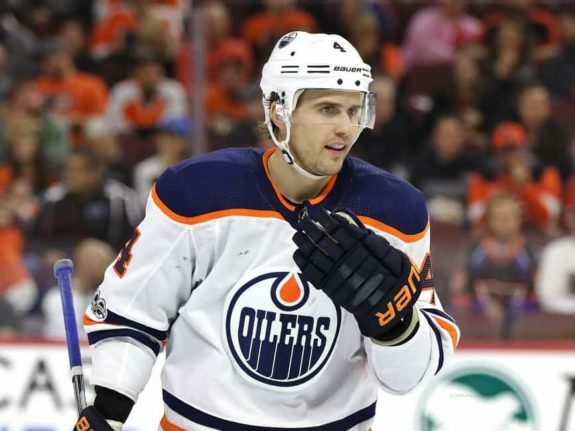 The Edmonton Oilers have lost two consecutive games and part of that is due to injuries on the blue line with Oscar Klefbom and Kris Russell. It appears one half of that twosome will be back sooner than later. The team announced there’s a good chance that he’ll be available for their first game after the holiday break. The actual injury has not been disclosed but it is good news for the Oilers who need him back in the lineup. The other news is that it appears Adam Larsson will not miss any time after blocking a shot in the loss to St. Louis. He did not practice with the team but should suit up to play on Saturday. 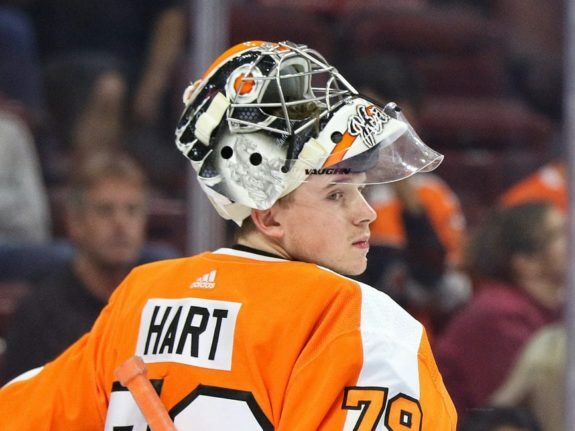 Top goaltender prospect Carter Hart had a great debut on Tuesday night when he played for the Flyers but that isn’t going to stop the Philadelphia Flyers from searching for an answer in net. Sam Carchidi of the Philadelphia Inquirer tweets that new GM Chuck Fletcher “sounds like he’s shopping for a goalie.” and he will get back to that search after the roster/trade freeze comes and goes. The Flyers are a team that has struggled to find a goaltender they can rely on and have often failed to land a netminder that could be their guy moving forward. The Flyers would be wise not to throw Hart in as a full-time starter this early in his career and it sounds like the organization would actually rather keep him at the AHL level for this season.